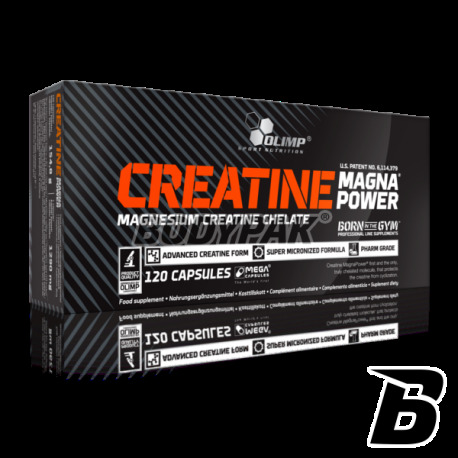 CreatineOlimp Creatine Magna Power - 120 kaps. 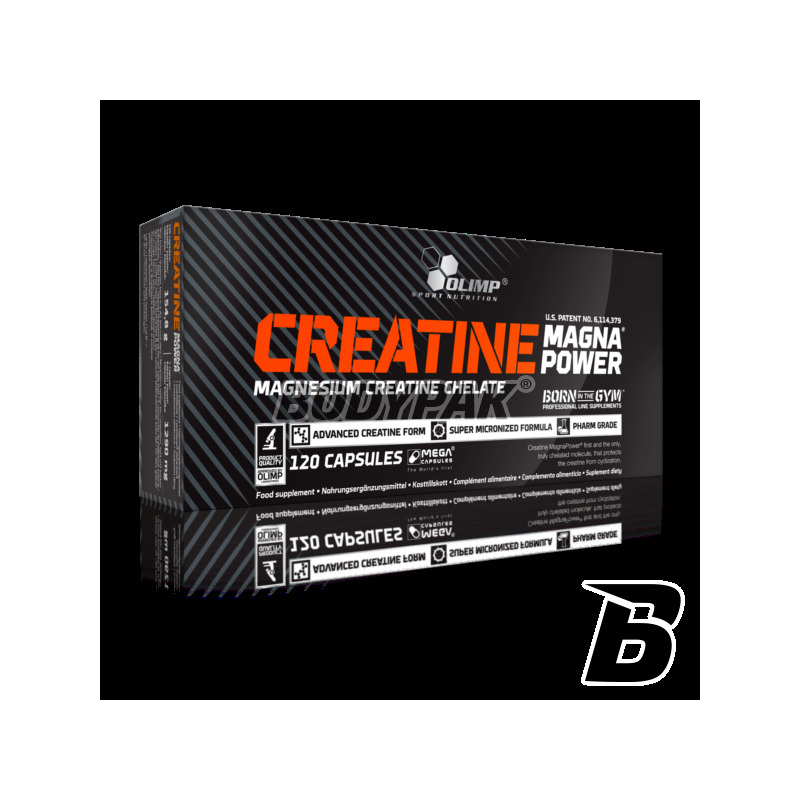 Creatine Magna Power Creatine is a supplement that contains a patented independent scientific laboratory cooperating with the brand Olympus magnesium creatine chelate, most technologically advanced form of creatine, which is one of the most effective anabolic agents. However, to creatine it has been used up by the body to build muscle mass and did not produce a serum creatinine, which is inactive and causes loss of strength anabolic must be used malate and creatine ethyl ester, creatine or must be mixed with the compounds of alkali metals. The use of Creatine Magna Power magnesium creatine chelate, which is a combination of magnesium and creatine in one compound that makes creatine molecules are protected against the formation of creatinine, and this means that the active form of creatine is increased and as a result, this allows to obtain more energy during exercise. Creatine affects the development of muscle mass and strength, mediated by ATP adenosine triphosphate anabolic substance, the use of creatine leads to an increase in ATP levels in the muscle. ATP stimulates the anabolic enzymes kinases that affect the production of muscle proteins for the production of ATP is required creatine, but also magnesium, which is excellent for the Creatine Magna Power, which stimulates the body's ability to generate and regeneration of ATP, and this in turn provides the necessary energy required to increased physical activity during intense workouts. 3kap. in the morning on an empty stomach, 3kap. after training, 3kap before bedtime. 3kap. in the morning on an empty stomach 3kap. before going to bed. Składniki: 85,3% chelat kreatynowy magnezu CREATINE MAGNA POWER, substancja wypełniająca - celuloza mikrokrystaliczna; substancja przeciwzbrylająca - sole magnetyczne kwasów tłuszczowych; kapsułka (składniki otoczki - żelatyna, barwnik: E171). Nie widzę różnicy pomiędzy tą formą kreatyny, a klasycznym monohydratem. Po co przepłacać, skoro można kupić monohydrat i wzbogacić go o magnez przed snem?